The purpose of surveying members is to gain first-hand knowledge about what your members value, what programs are working, and what areas to focus your budget. The problem comes when you're trying to see long term trends and compare yourself with your peers. How can you gather consistent information from your members? 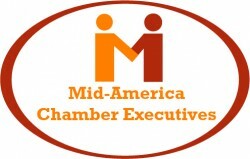 How do you compare to other chambers within the region? The MACE Membership Survey is the best solution for being able to touch base with your membership year over year. We take regional market data and compare it to your specific chamber answers to give you comparable data about your strengths and weaknesses.